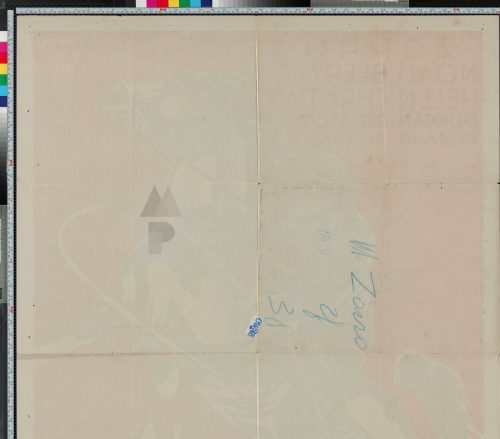 Grade: C7	Fine to Very Fine. Folded, single-sided. 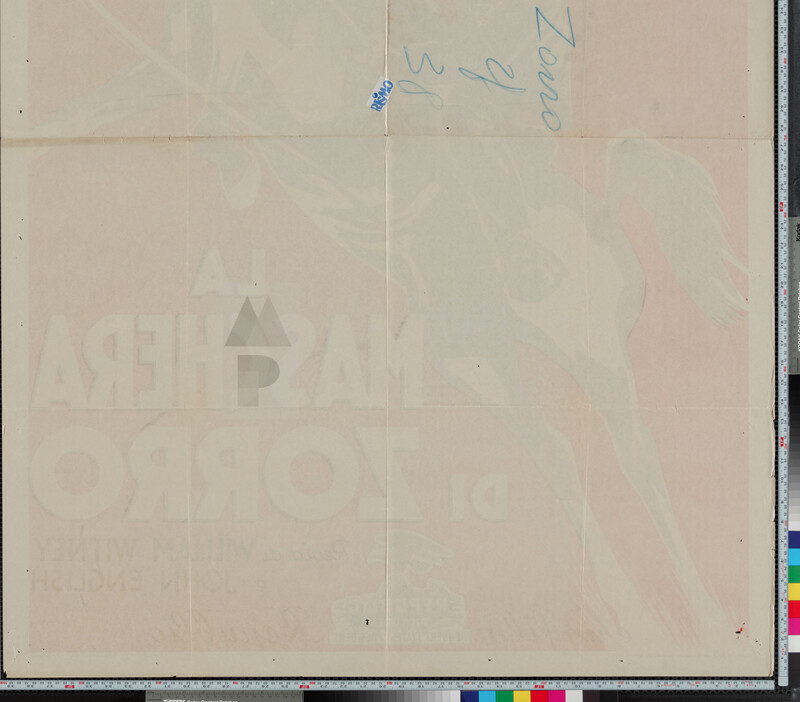 Theater used poster with minor handling/edge/fold wear, several pinholes in each corner, some small edge/fold splits and cross fold separation, some writing on the back that doesn't bleed through and the paper has gotten a bit fragile with age. 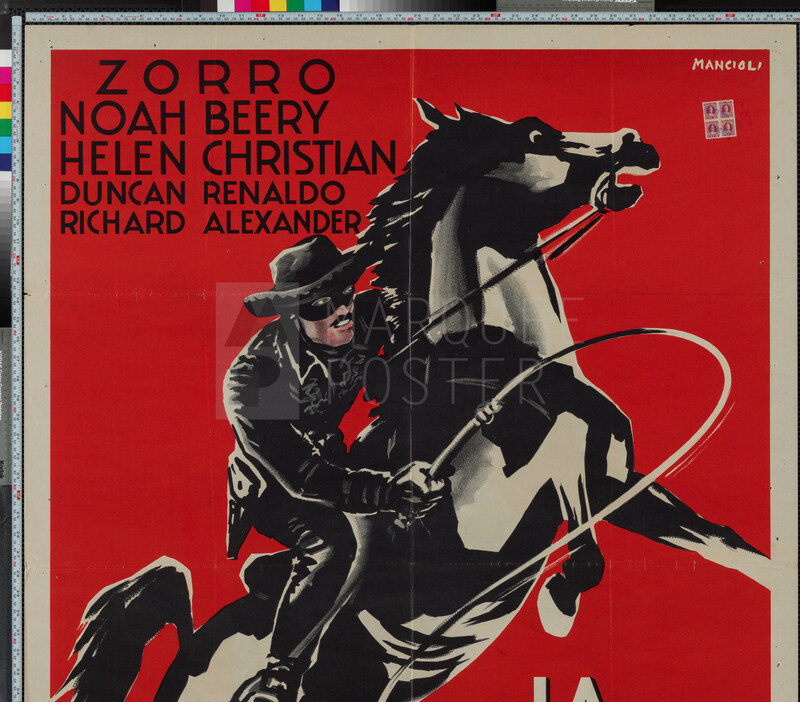 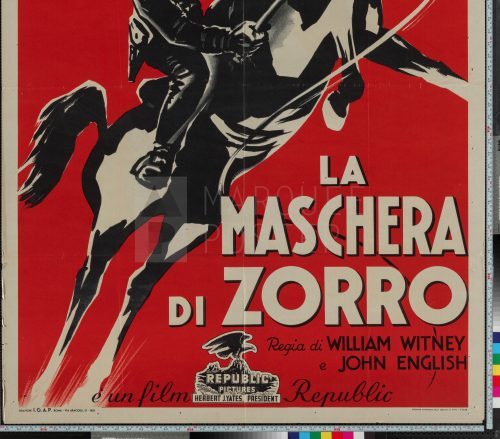 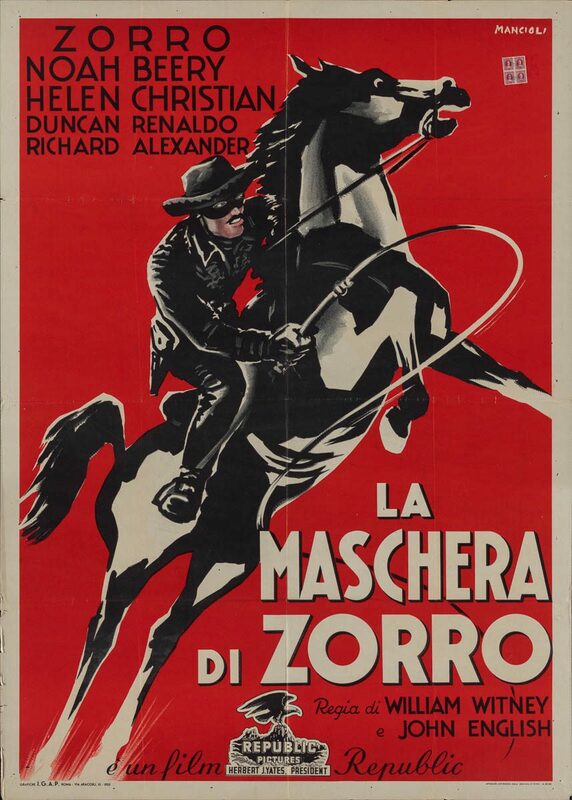 This 1st release Italian is probably the best poster from the various Republic Zorro serial films and quite possibly one of the best Zorro posters ever! Stunning imagery!